Welcome to Theme Park Overload! Today marks a special day, as it's our first Official Update from the 2015 Amusement Park Season! 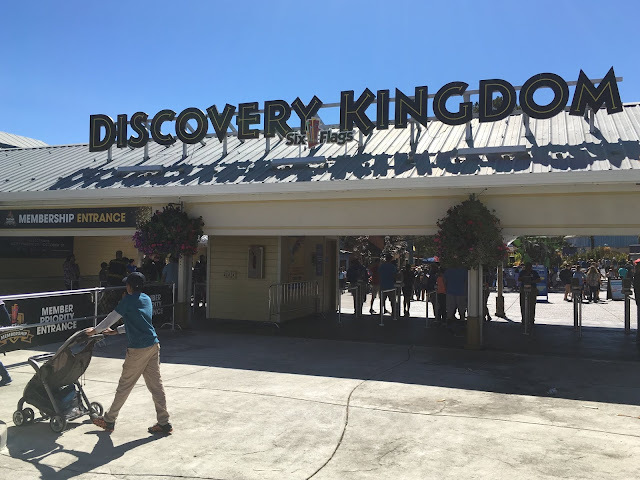 We're kicking it off right at our home park Six Flags Discovery Kingdom, where attractions are in Full Swing for Spring Break 2015! We check out the Dare Devil Chaos Coaster construction site, new walkway connection from the Midway to Looney Toons Seaport,Wacky Water Works Sea Lion show, and more! New Season means New Park Maps! Great Full Color Visuals for the maps this year! V2 is the only coaster currently closed at the park, undergoing maintenance. 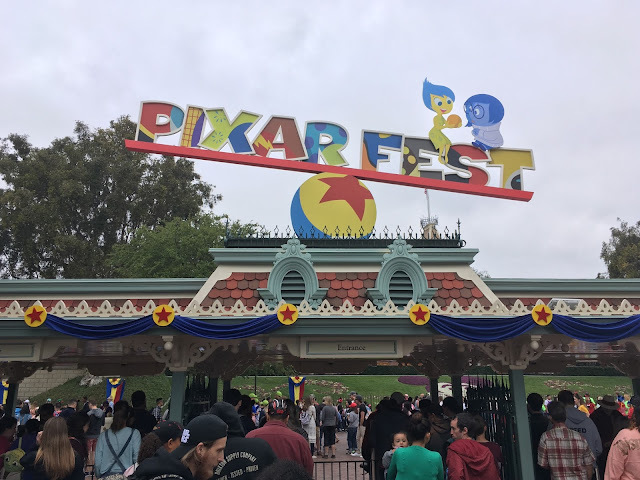 The Season Pass Processing Center has moved from the old (And incredibly cramped) building to the much larger Explorer's Outpost in the Main Plaza. This makes much more sense, as the new location is more centralized and able to handle the large crowds SP processing brings. Now for the main event, Dare Devil Chaos Coaster! The compact footprint sits between Kong and Medusa in the Sky Plaza. The location is a little questionable. Due to zoning and height restrictions, all but one of the park's major coasters are located in 2 clusters on each front-end of the park. 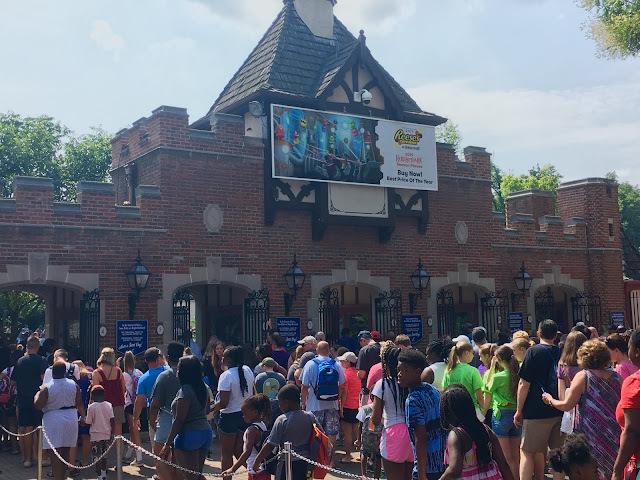 While I know that the tight space and complex zoning make construction elsewhere in the park difficult, I do wish the park found a different location for the ride to more evenly spread out the crowds. Construction progress was not visible today, possibly because concrete foundation is setting. A view from the opposite end. Once vertical construction starts, this thing should be completed structurally in a matter of days. I can't see the opening date being too much longer! Moving across the park, I found an unexpected surprise while walking through the midway! to other popular park destinations! On the converse side, you can see the nice new railing and expanded brick walkway connecting the areas together! The park employee I spoke with noted the opening happened just two weeks ago, and required the Basketball Midway Game to be pushed back a few feet to make room. For some perspective on location, the opening is located where the pink and purple basketball hoop is on the park map. The walkway is so new that the park maps still haven't reflected the change! Moving on, the Sea Lion Stadium attraction has been updated with the new Wacky Water Works Sea Lion Show! The show is about 15 minutes in length, and about equal in visual and entertainment terms to the old show. Their are only so many tricks and maneuvers the Sea Lions can perform, so props to Six Flags for keeping the show as Fresh and Current as possible. The multiple guests I spoke with after the show agreed that the show was "good" and "ok" and comparable to the previous show. I hate to whine and be overly critical, but... The show features two water jets on either side of the theater, that shoot and splash guests part of the "Wacky Water Works" theme of the show. A sizable amount of water is shot directly onto concrete, and eventually evaporates without re-circulation. During and after the show, the jets were repeatedly shot over and over by employees. You may not know the degree of a drought California is in if you don't live here, but let's just say it's bad. I hope the park can keep the show fun, but more conservative, as the season continues. And that seals another great day at Discovery Kingdom! That's all for now from Theme Park Overload. Special Thanks to Nancy Chan with Six Flags Discovery Kingdom for her continued hospitality with TPO! Make sure to LIKE our Facebook Page to get the Latest Updates and Live In-Park content Exclusive to the page! www.Facebook.com/ThemeParkOverload My name's Nicholous, and Thanks for Reading!